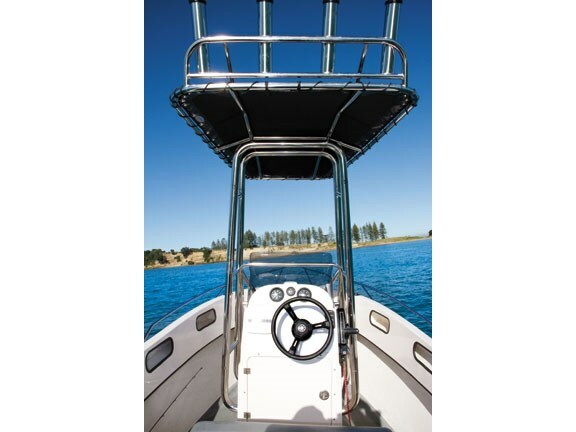 The centre console market is growing as specialised anglers look for dedicated fish platforms. Challenger’s option is certainly eye-catching, but will it perform? 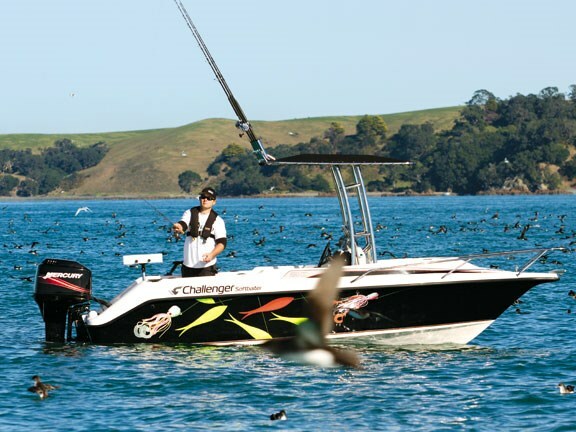 Mt Maunganui-based Challenger Boats has launched the 550 Centre Console Softbaiter, combining the quality Challenger ride with more usable fishing space, whcih should find favour with softbait enthusiasts and more generalised fishermen alike. 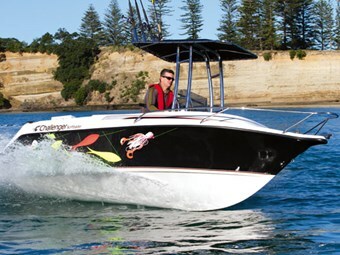 Managing director Tony Hawker’s vision for the 550 Centre Console was simple – it had to be budget-friendly, easy to clean, have plenty of storage and fishing space, and it had to look good. So, Hawker took the tried and tested 550 cabin-boat hull and modified it to provide enough space to keep a quartet of serious "soft baiters" happy and comfortable at the same time. 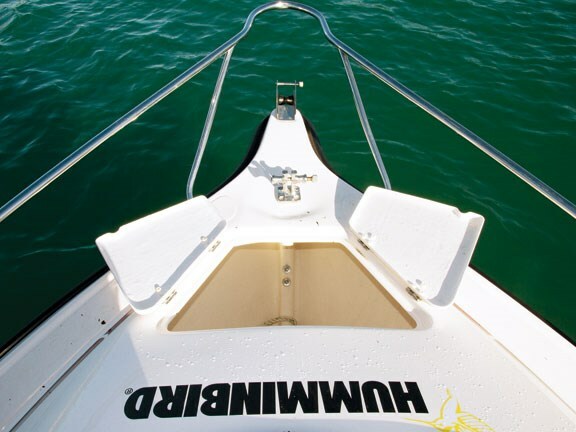 Access to the anchoring equipment on this boat couldn’t be easier. The area has plenty of handholds and moulded non-skid on the gunnels. 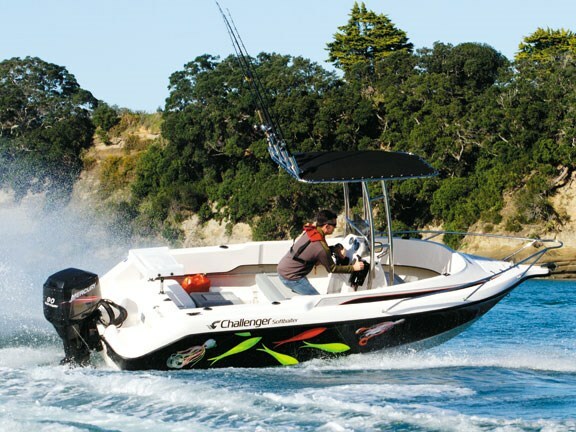 While the test boat was presented without an electric winch, it would be easy to option one in. The front of the helm station features a comfortable throne-like seat. Handy side pockets are available to stash a few soft bait containers (or your lunch) inside the gunnels. The helm station itself is well laid out. Gauges are easy to view and the steering wheel and throttle are in comfortable reach. A generous dry storage area is neatly tucked underneath, accessed by a large, hinged door. 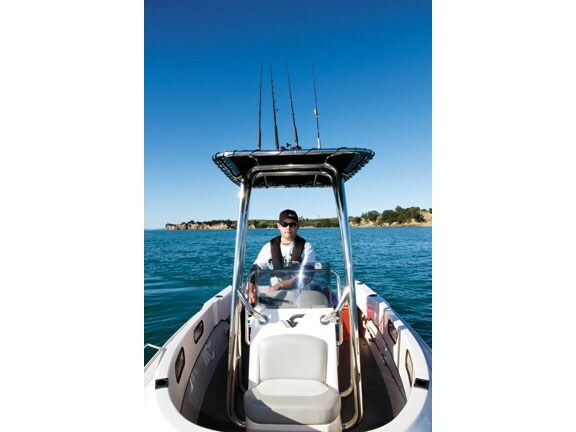 The bimini is a work of art with all its stainless curves. It’s also very solid, and comes with four rod holders in the rocket launcher. A fixed, upholstered bin doubles as the helm seat with space for two friends, and it has abundant storage below. Additional seating is provided via two smaller moveable bins which can be used as ice boxes, and they’re easily removed for cleaning at home. Further storage is available under the floor – put to good use on the test boat by keeping the fuel tanks tucked away safely. A couple of open compartments in the transom keep the battery shipshape. The floor is painted non-skid – reducing clean-up and allowing more time for relaxing after a good time on the water. A transom door provides easy access to the portofino stern and an optional boarding ladder tucks neatly under the duckboard. This Challenger is CPC-rated for four persons. With 360 degrees of wide open fishing space available, casting softbaits was a straight-forward exercise and I was spoilt for choice as to where I wanted to place my lure. This vessel is not restricted solely to softbaiting however. With a generous bait board, a cleverly-positioned removable anchor light and an optional live bait tank, targeting winter moochers around the rocks at daybreak is an inviting proposition. This boat would handle it with ease. There are 10 rod holders on the boat, plus secure storage for another four in the internal rod racks. The urge to put the hammer down was irresistible and the Hummingbird GPS recorded a top speed of 60km (32 knots) at 5500 rpm. That’s with two people on board, a heap of fishing gear and 45 litres of extra fuel. The windscreen provides good visibility while seated (providing there isn’t a passenger enjoying the view from the front seat) and also fair protection from the elements. It doesn’t, however, offer any face protection while standing. I stayed nice and dry throughout the test although conditions weren’t exactly a trial. With an 18.5 degree dead rise and no planing strakes the hull easily carved up wake; and on the odd occasion I did manage to get it out of the water, it came down gently and quietly. The downside is that this hull can be somewhat tender at rest. 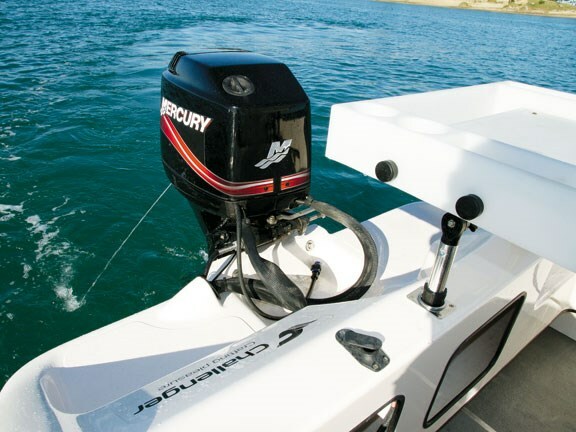 In keeping with the budget-friendly design brief our test boat was partnered with a 90hp Mercury carburetted two-stroke. These engines can be a little lumpy at low revs (due to the three-cylinder configuration and large cubic capacity) but they make up for that with plenty of power and torque when pushed. Because of all this torque I found the cable steering to be quite heavy when pulling out of the hard turns, but to be fair I was pushing it harder than would be required under normal use. Why rough it when you can softbait in style? And with the Challenger 550CC, without spending a fortune in the process? Watch the world go by from the comfortable front seat and enjoy the unhindered view, 360 degrees of fishing potential and a place for all your gear. To my mind this Challenger meets its design brief well and rides nicely. 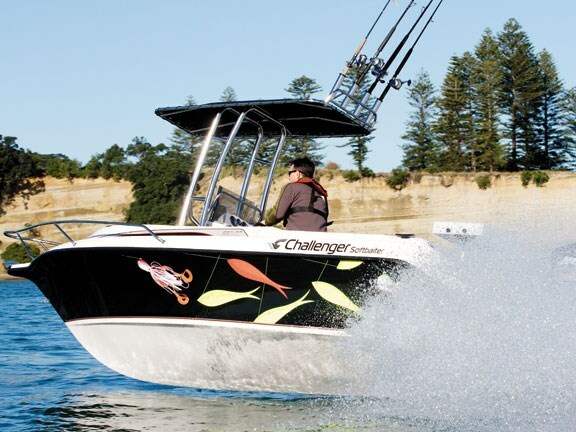 It’s not as well finished as other Challenger boats I’ve tested, but the price reflects that position so I have no issues there.